First of all, congratulations on starting a business. Now it’s time to move your business from the real world to the internet, where you can find and grow your customer base online. 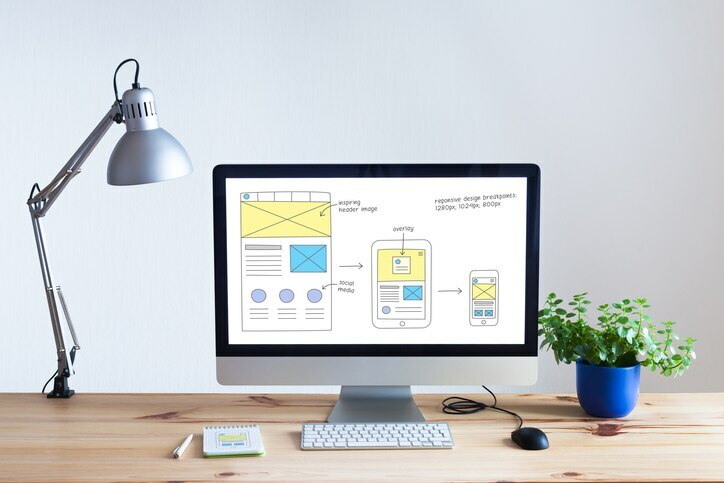 Thankfully, creating a website from scratch is now easier than ever with many user-friendly products and services helping to simplify the process. There are many options when it comes to finding a suitable website platform, but perhaps the most popular content management system (CMS) is WordPress. Not only is it free, but it’s one of the most simple platforms to use – especially for beginners. WordPress is referred to as an open source platform, offering you total control of your website’s code. Alternatively, you can choose a platform that provides an all-in-one service. 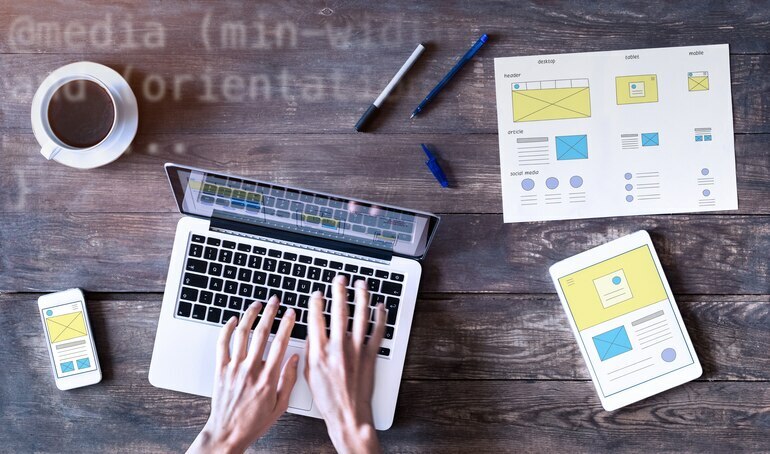 They usually offer website hosting, a user-friendly interface and pre-designed templates, so it’s easy to create a beautiful website in minutes. However, make sure you do your research, as these services often have some limitations when it comes to complete design flexibility and coding access. This may sound simple but these days finding an available domain name can be hard work. Ideally, you’ll want your domain name to be your business name, however you may find this is already taken. If that’s the case, think of how you can creatively represent your business while still making sense to your customer. Always avoid tricky spellings, such as dawg instead of dog, unless that is actually your business name. Keep in mind that your customer could be typing your URL straight into their browser so make it short and sweet. Take a look at the competition and make sure your name or something similar isn’t already being used. It’s also worth checking if your domain name is available on prominent social media platforms. Once you’ve chosen your website platform, you will need to connect a website hosting service. As mentioned above, this may be offered by your platform provider, but most of the time you will need to sign up to a third-party company. There are many different website hosts available with different packages according to service and price. Survey the market and make sure you choose a reputable company, as your hosting plan will determine your website’s security, stability and speed. Once you’ve signed up to a website platform and hosting service, it’s time to think about the look and feel of your website. If your budget allows, you could choose to have your website professionally designed and coded from scratch. However, a more common and affordable approach is downloading a pre-designed website template. These provide a great framework that can be easily customised according to your needs. Once you’ve created the framework for your website, it’s time add your content. Adding images, text, articles and videos will bring your website to life. Add a logo, social media accounts and contact information. Then it’s time to set your website live! Next, learn how to promote your business online.